Hello guys! Still on my travelling post. 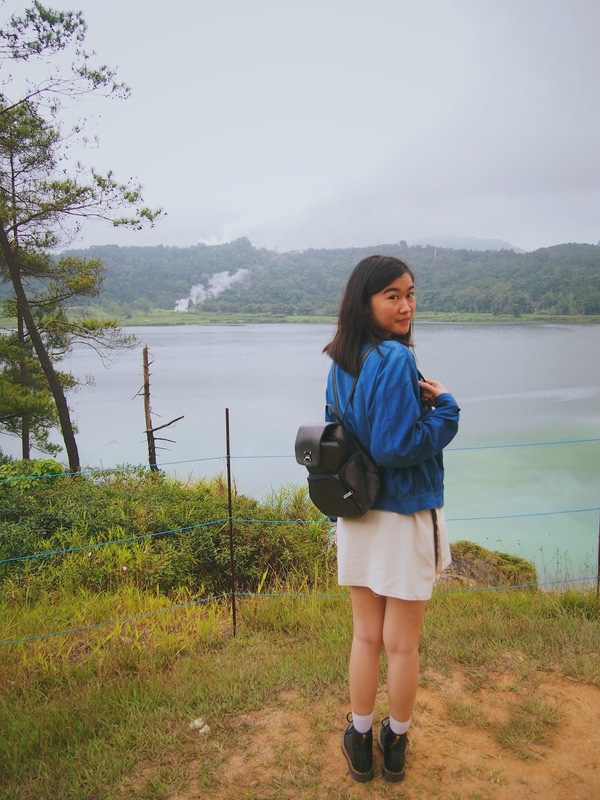 Today I will write about Danau Linow (Linow Lake). Honestly, I've been went there when the day I landed in Manado last year. My cousin just brought me and my mom to this place and I was super duper happy at that time! 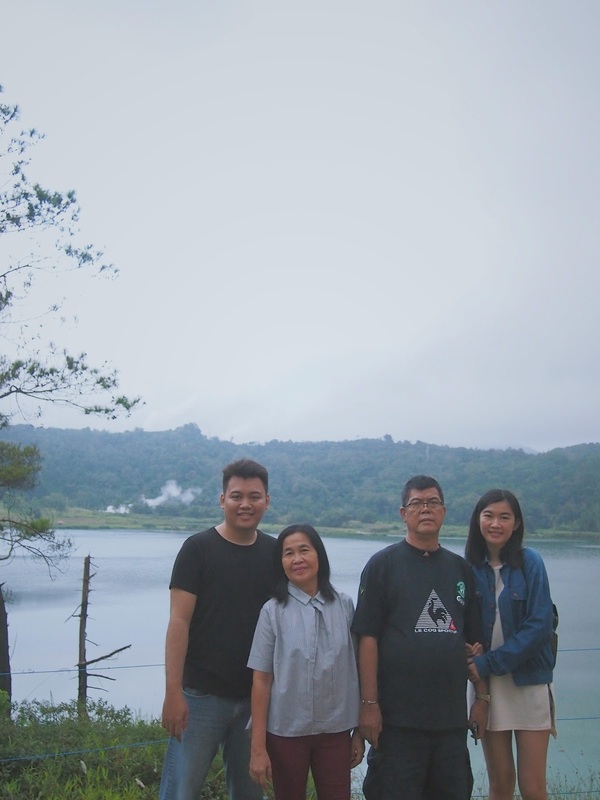 And now, for the second time, I could come again with my brother and my father and we can took family picture at Linow Lake (what a preciuos moment!). 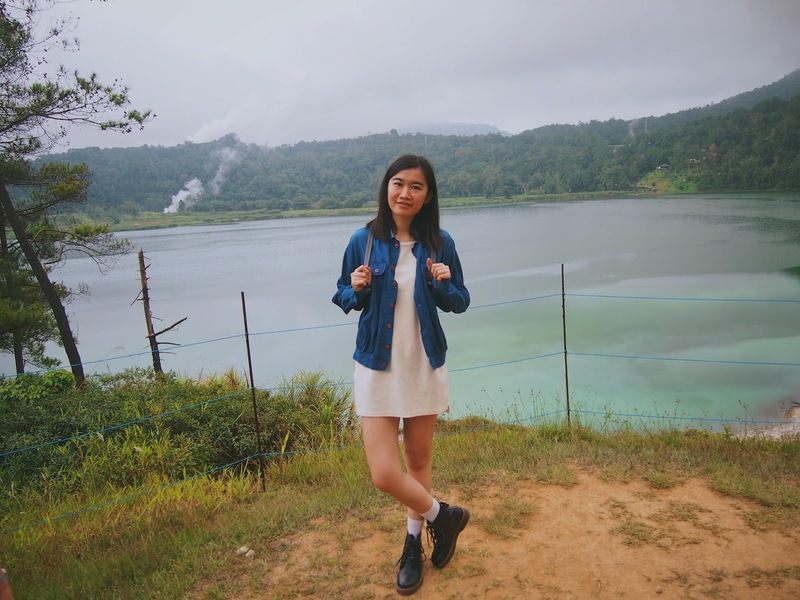 Now, let's talk about Linow Lake itself! 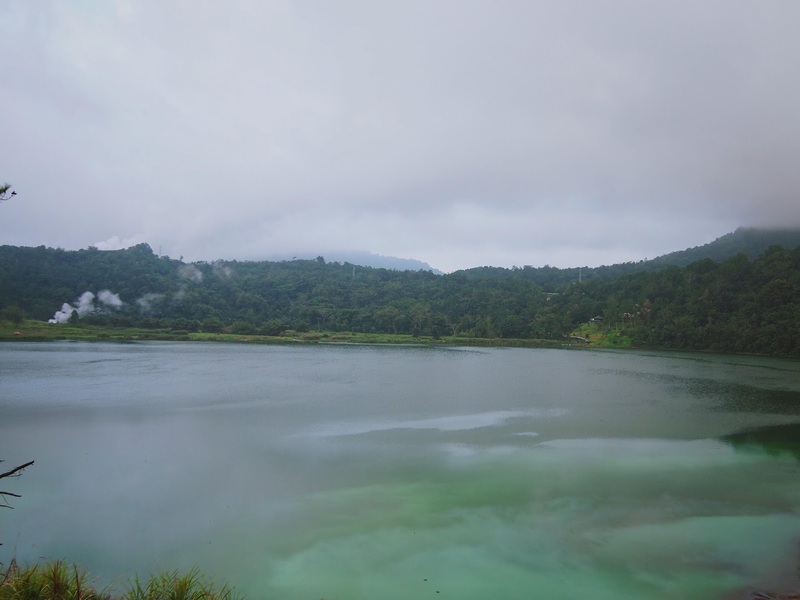 It's located at the administrative area of Tomohon city, North Sulawesi - Indonesia. 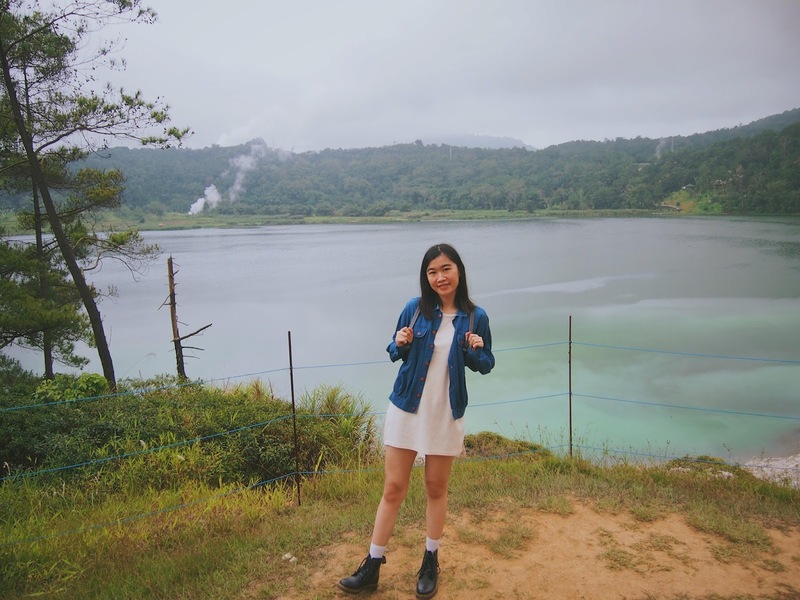 The lake is near the Lahendong Geothermal Power Project. This lake is unique because during daytime the water is colorful. 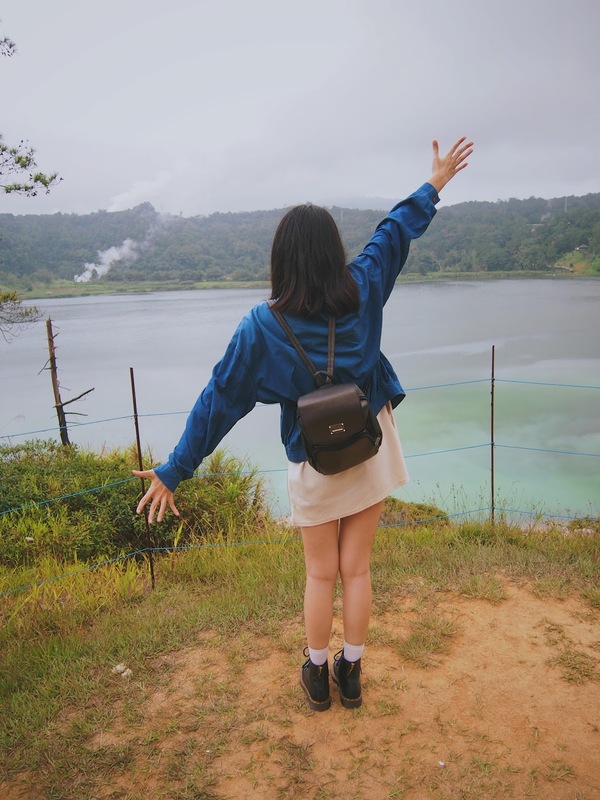 For entrance ticket you must paid 25.000 (IDR)/person and you get free hot tea or coffee but if you want order some food like fried banana, toast, or other food you must paid it again and then you can sit, relax, enjoy the food and enjoy this breathtaking view from Linow Lake. I forget from what time they open the place but I remember at 7 PM they already close. So I suggest you to come in the afternoon around 12 PM. The weather is so fresh and nice too, almost a little bit cold for me. The place is also clean and neat, so don't worry. That's it and enjoy some photos that I took from there.